7. Operates from 10-32V. 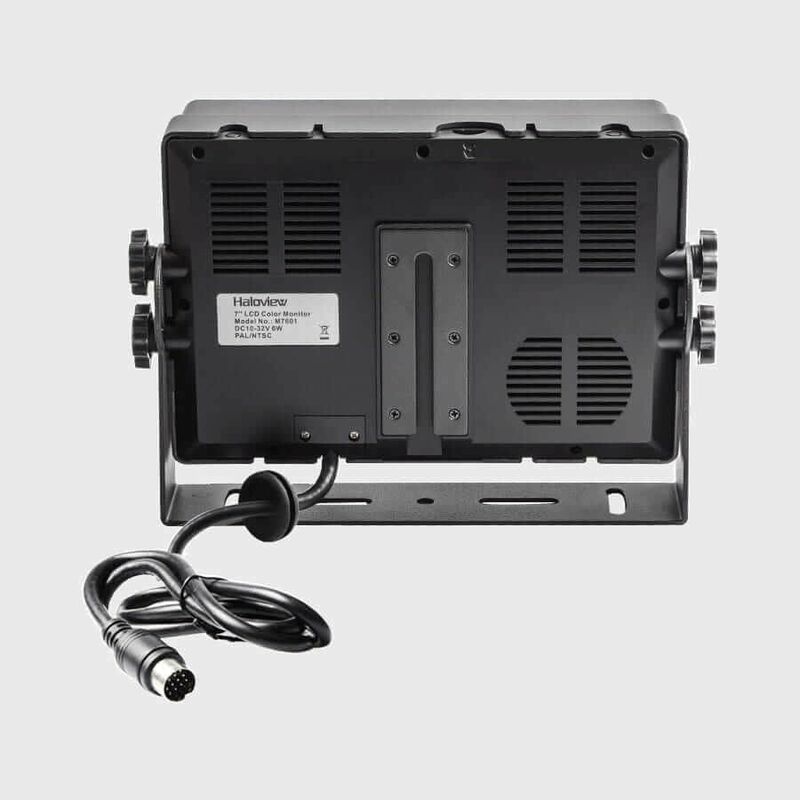 Supports 12V or 24V automobile battery. Use 650nm filter at daytime,automactically switch to 850nm at night. Solve the problem of turning green into purple under sunlight casued by only use 850nm filter. 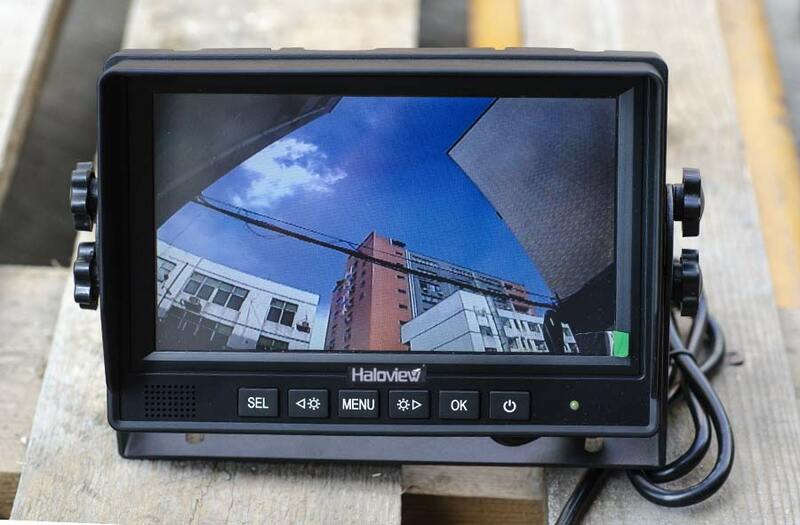 A: Wired camera system provides a slightly better image quality and a wireless system is easier to install. 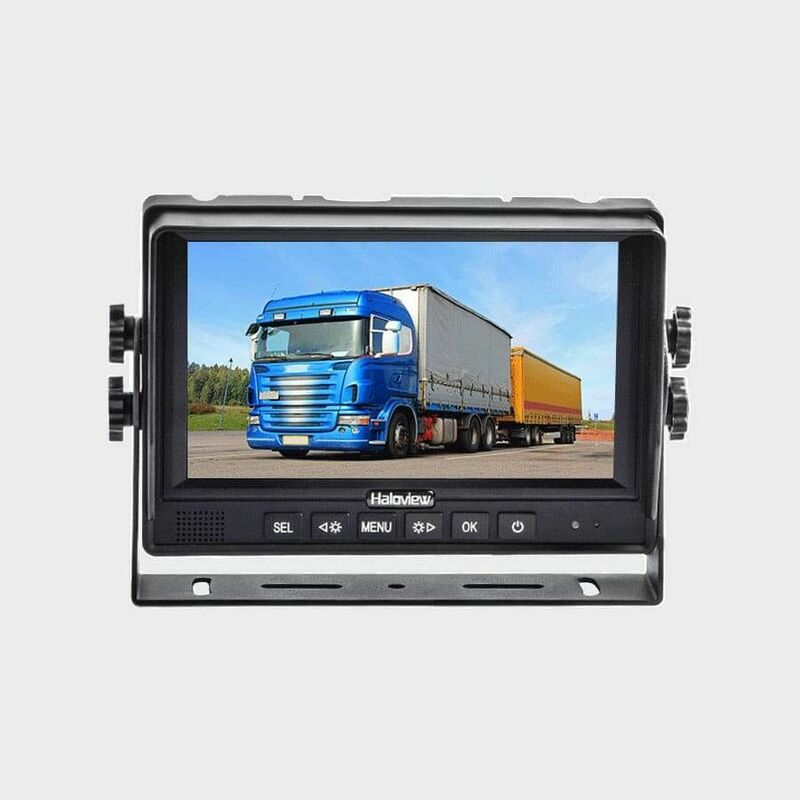 wireless system with 2.4g transmission; with video recording function;With Split /quad mode; supports up to 4 cameras. 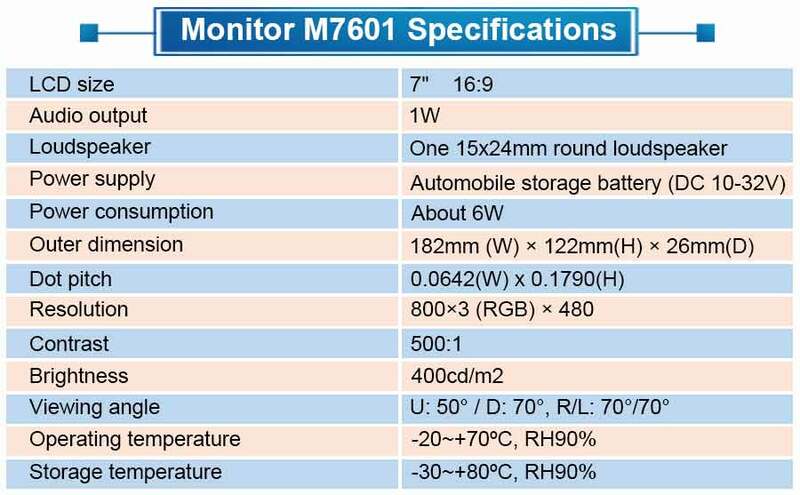 With low power consumption function. 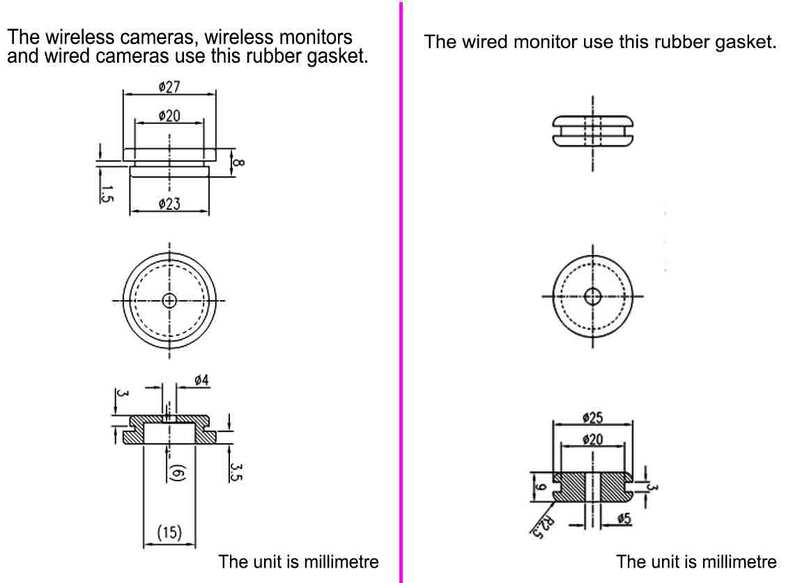 The wireless system's camera is powered separately, so this low power feature is required. However, in the wired system, the camera is powered by the monitor, and the camera will not work as long as the monitor is turned off. 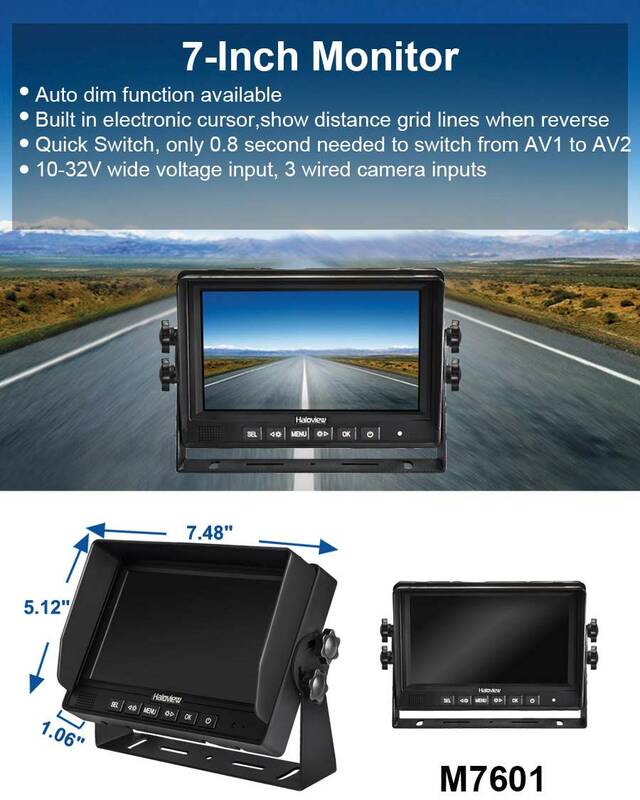 Connect through aviation line; no video recording function; no Split /quad mode; support up to 3 camers. No low power consumption function. 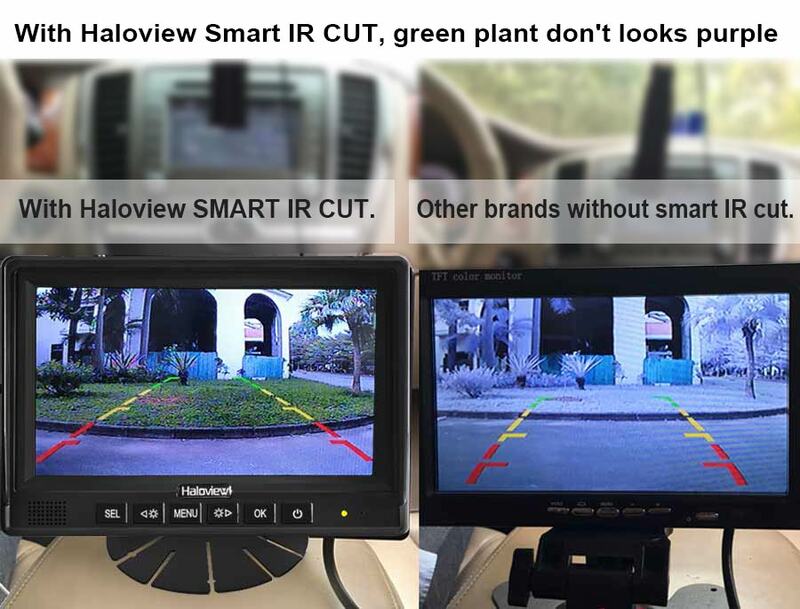 The same point of the 7-inch system: Both have smart IR cut function. 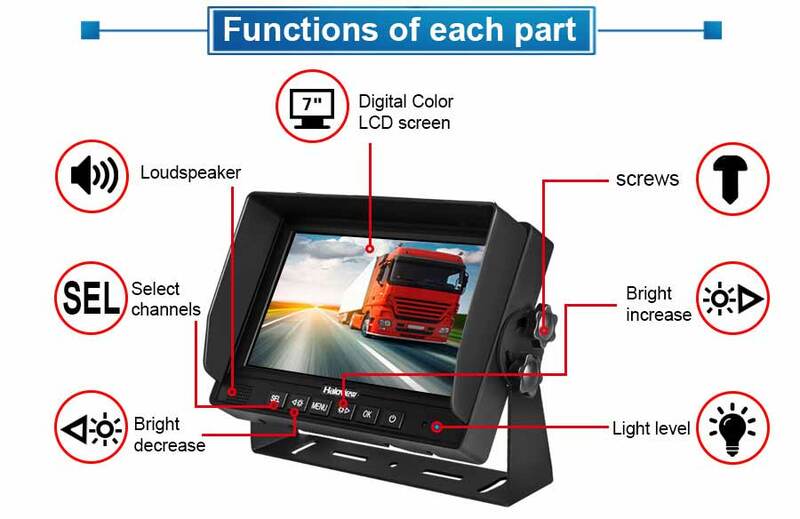 A: Installation time varies based on vehicle and camera quantity. 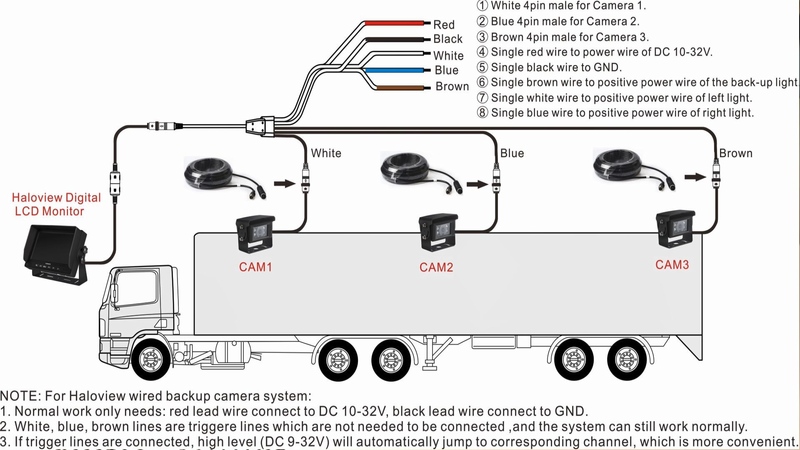 A standard one camera wireless system should take half hour to install. with 4 cameras takes about 1 hour.Wired system with 1 camera takes about 40 minutes, 3 cameras takes about 2 hours. Q: Can you please tell us what size drill bit we need for the black grommet on the camera cable? I purchased a wireless system and need this info. A：If you want to save money and have install tools, try the wired. If you want easier installation, choose wireless. 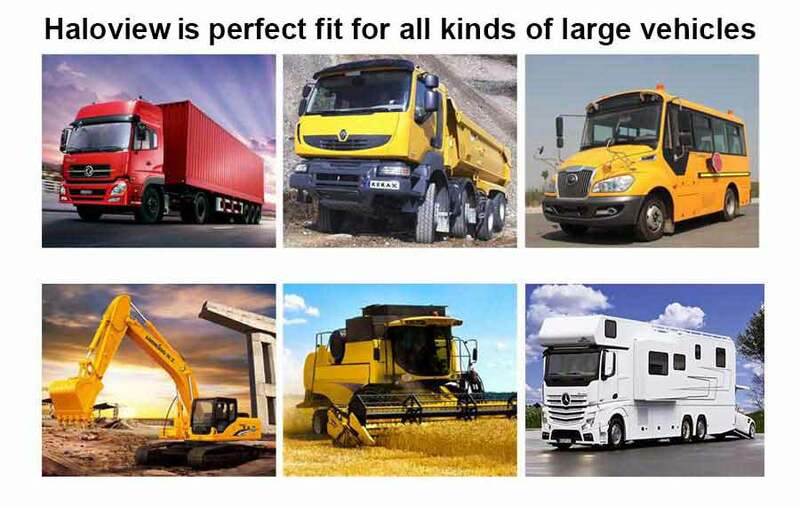 Our product's quality is better than competitors,but only half price of their. 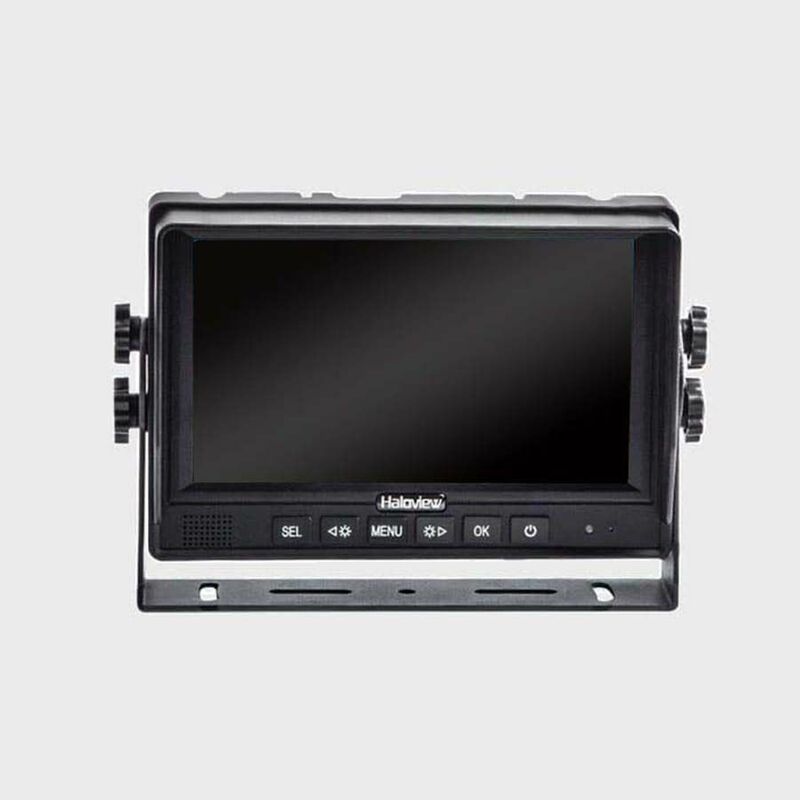 Q: My company wants to your rear-view systems for our fleet.Can you give us a discount? 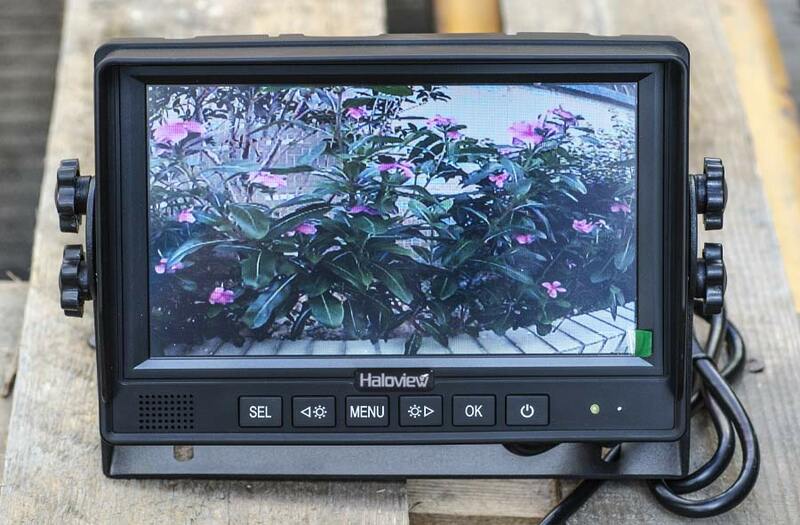 Haloview is committed to providing the world's most cost-effective rear view system.We can give you distributor's price.